I had recently heard about something called The Wonder Bag. she arrived back to her camper - a warm pot of stew was waiting..
All without an inverter or stove running while she was gone. living in areas where power is at a premium to save fuel while cooking. Basically you can use it for any recipe that you would use a crock pot. Bring to a boil, then simmer for 15 - 20 minutes or so to heat the contents. Transfer the covered pot to the Wonder Bag. Pull the drawstrings the rest of the way to seal up the bag. Whenever your are ready… dinner is served! The heat is retained inside and the food uses it's own heat to cook. So simple. I love it. It works great. this is a great way to make a no fuss meal with very little power usage. in refugee camps where fuel is scarce and hard to obtain. This thing is a winner. "we haven't seen a blog from you in a while"
Well we are fine. We're home. arrived home around the end of February. and thankfully today is beautiful… 70's and sunny. to Alaska. There has been the night trip planning. Finalizing the details. That is 99% done now so we are ready to go in that respect. couple of upgrades to account for now having the dog house on it at times. a normal hitch would now no longer work. difficult but in my opinion the safer and stronger way. First I had to remove the OEM hitch that the truck came with. It was a class V and rated to 12,000 lbs but not up to what I wanted to do. I installed a new Torklift Super hitch. Notice it has two receiver holes… that is important. 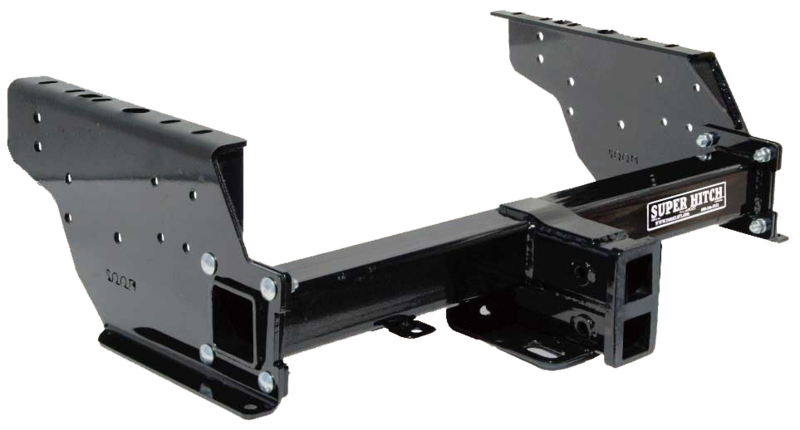 It is a much more robust hitch, and it rated to 17,000 lbs. Once the hitch was on I assembled what is known as a Supertruss. Notice the two tubes… ? they go into the two holes on the hitch. You install and remove the super truss from the hitch as needed. It slides in like a regular ball and gets pinned in place. The completed assembly would look like this. So, when installed and no dog house on the truck, the truss would stick out 32"
Here it is installed on the truck without the dog house loaded. You insert the hitch ball into the end and you are ready to go. head West in a few weeks with that load. That was another reason for getting the towing situation worked out now. What to do with the wine when the house sells has been hanging over my head. facility will take that one big thing off of my plate. Plus it will be closer to stop in when traveling out west for a replenish. It's going to be a hell of a year!